Ack! Very short one today since I'm so far behind on things. I started a new job last week at a used bookstore and oh my word has it messed with my schedule. Thought this baby was so darling and it's oh so true for my herd. 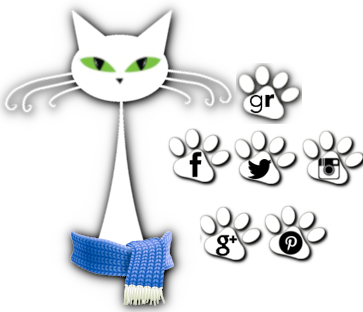 Featured Follower Feline will return next week! and tell me about your herd! 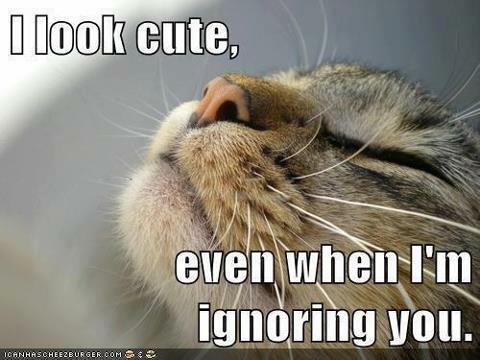 Just remember, you are no one until you've been ignored by a cat! Looks like my Squeaky. My kitties love to ignore me except about 4am when they are hungry. **Snort** LOL. Cute one! Congrats on your bookstore job. I wish I could get a job at a bookstore. =O) Hope things are slowing down for you now.